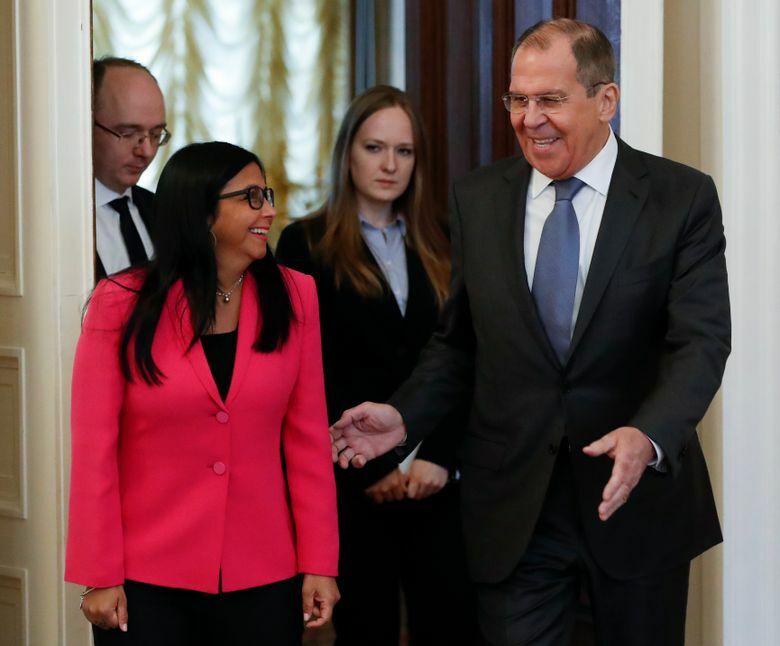 MOSCOW (AP) — Venezuela’s vice president is visiting Russia, voicing hope for stronger ties with Moscow amid the U.S. pressure. 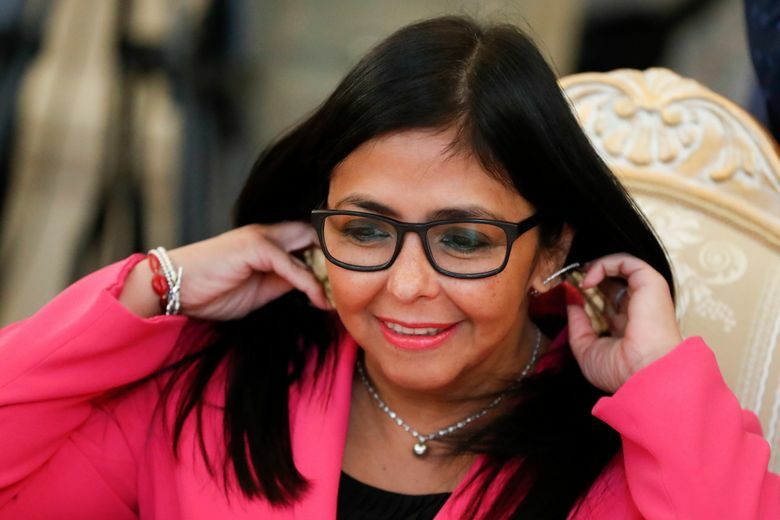 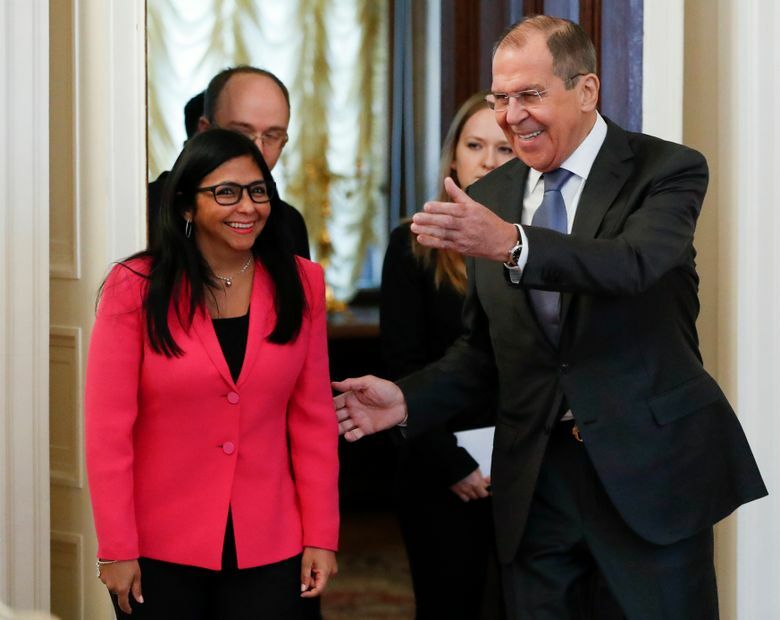 Delcy Rodriguez said after Friday’s talks with Russian Foreign Minister Sergey Lavrov that Venezuela will rely on supplies of food and medicines from Russia as it faces a U.S.-led blockade and hold the door open for more Russian investments. 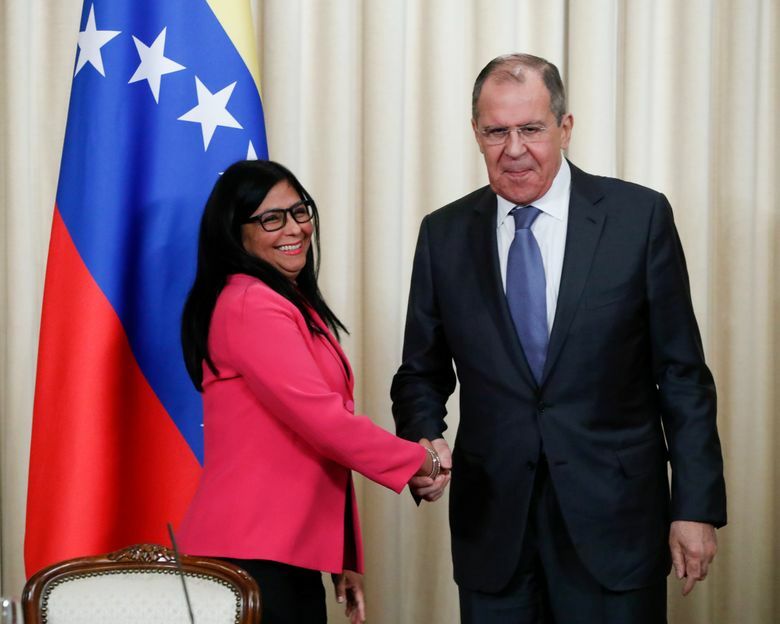 Lavrov reaffirmed strong support for Venezuelan President Nicolas Maduro and criticized the U.S. for waging a “cynical campaign aimed at ousting the legitimate government of Venezuela.” He strongly warned Washington against military intervention. 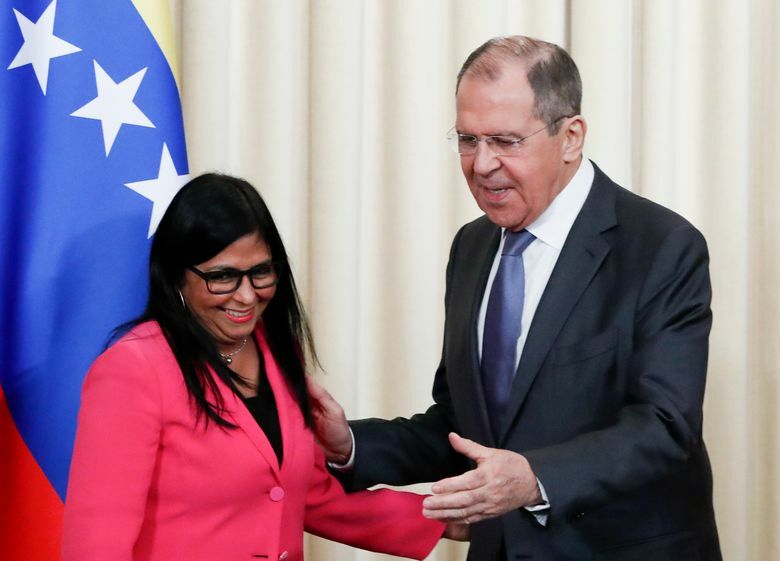 He charged that the U.S. is planning to purchase firearms, mortars and portable air defense missiles in eastern Europe and deliver them next to Venezuelan borders in preparation for arming the opposition. 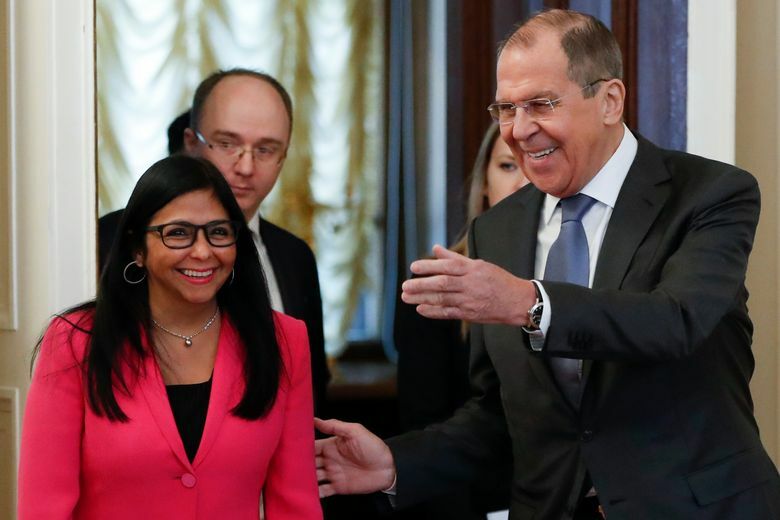 Lavrov accused the U.S. and its allies of using economic sanctions and asset freezes to provoke a humanitarian crisis in the South American country. 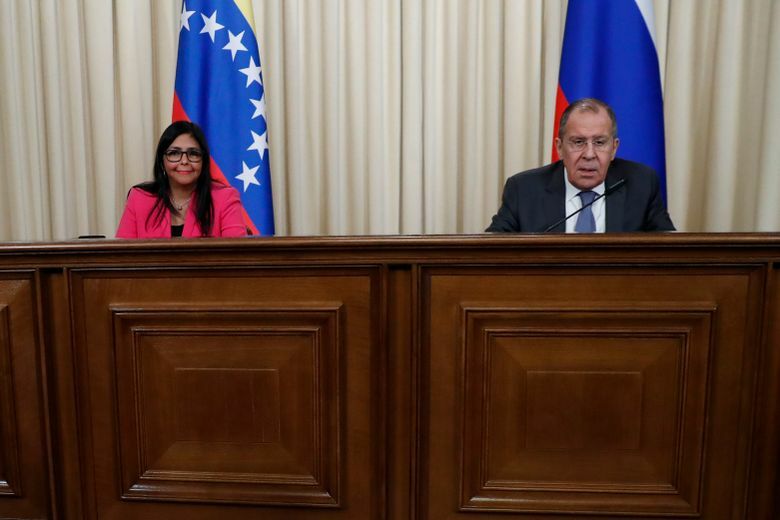 He said that Russia has delivered a humanitarian aid shipment to Venezuela and will provide more such assistance. 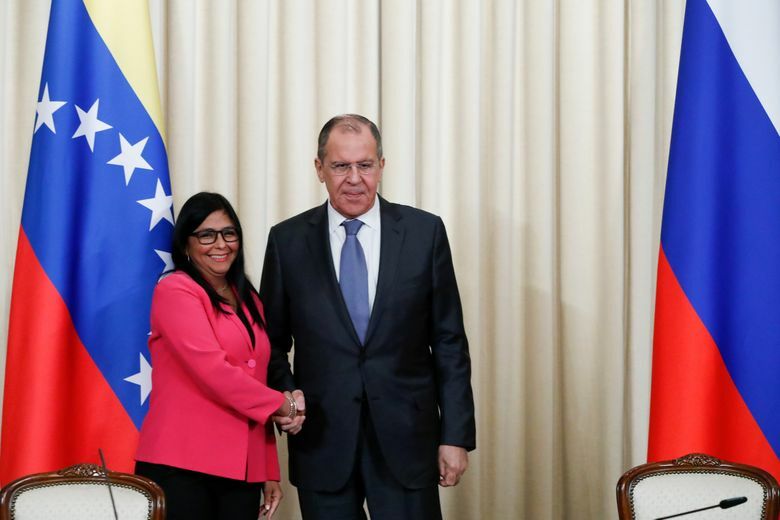 Lavrov also noted Russian grain shipments to Venezuela. 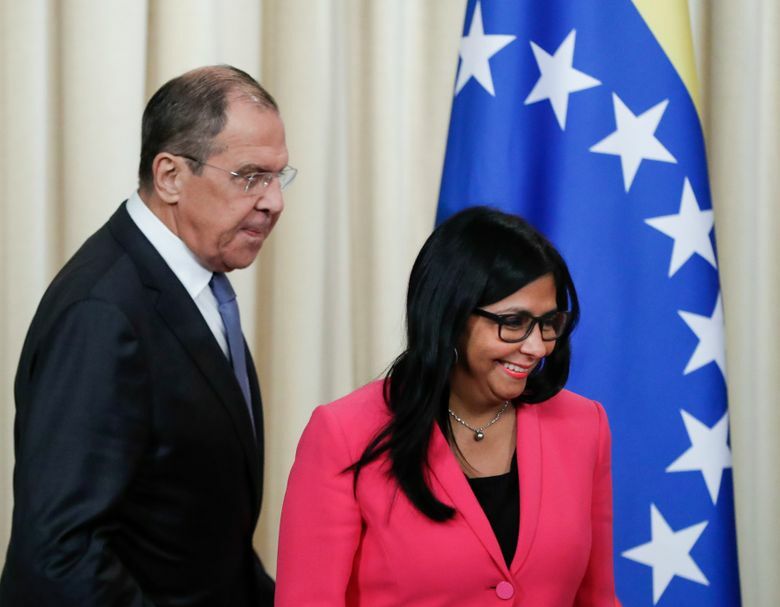 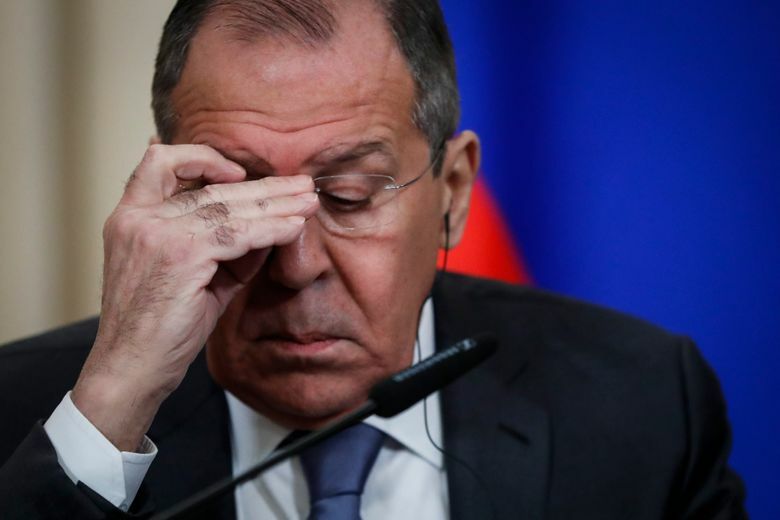 The Russian foreign minister hailed Maduro for his “constructive” openness for dialogue with the opposition and criticized Juan Guaido , the head of Venezuela’s opposition-controlled congress who has declared himself interim president, for his “destructive and confrontational” stance. 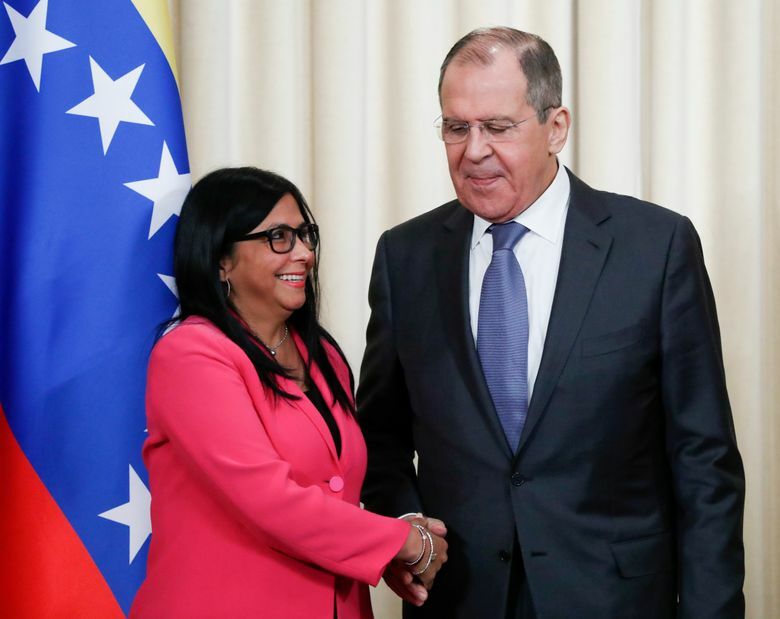 Rodriguez said that Venezuela has decided to move the European office of the state-run PDVSA oil company from Lisbon to Moscow. 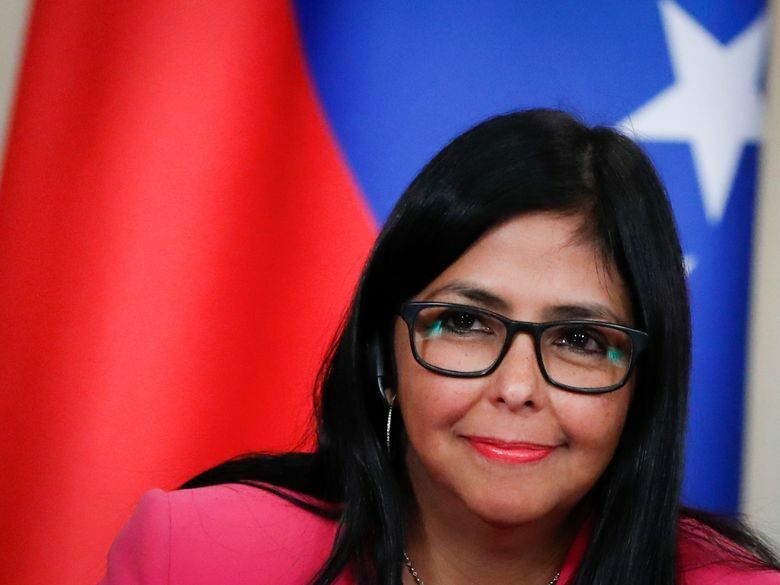 “Europe can’t give us the necessary guarantees, because the capitalist world violates its own laws,” she said, protesting the freeze of Venezuelan assets in the U.S. and Britain.